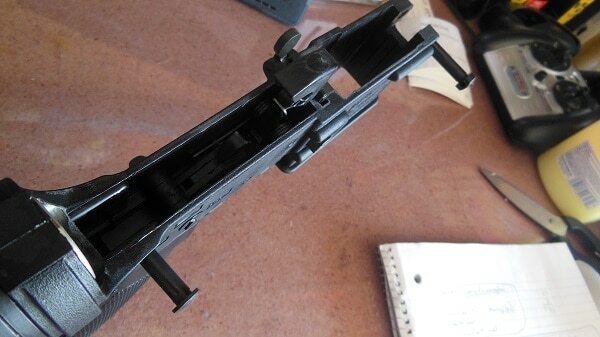 Several weeks ago I received a New Frontier LW-15 polymer lower for testing – and to build another AR. I know many may scoff at the use of polymer in an AR lower – much the same way traditionalists rolled their eyes at this new plastic gun that came out years ago – called a “Glock”. That plastic gun turned out to be OK. I was originally attracted to the New Frontier due to their low cost. An entire complete lower can be purchased for $119. 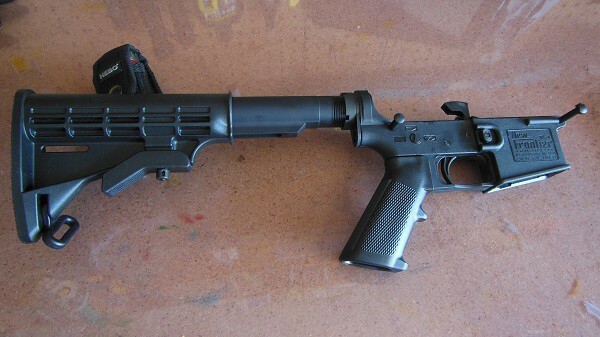 This includes the lower, trigger group, 6 position stock with buffer assembly, and magazine release and bolt release parts. Watching many video’s on YouTube and reading other reviews I felt pretty comfortable with the decision to acquire the New Frontier. My initial impression upon receiving the lower was how light it was. Of course I knew it would be lighter than a standard aluminum lower but it is really light. It also felt very solid. Next, I felt the trigger pull being careful not to allow the hammer to fall free. The trigger pull was a little on the heavy side but extremely crisp with absolutely zero take up. The trigger pull is advertised at 4.5 pounds. I did not have a scale to measure it however it does feel heavier than that to me. I pulled the trigger with enough force for the hammer to fall, the trigger moves rearward slightly (hardly any overtravel), I then release the trigger and a clearly audible “click” is heard as the trigger resets – and it’s ready to go again. The only real issue I have with the trigger group is the use of polymer parts as the hammer and trigger is plastic (as well as takedown pins). Although I don’t care for this aspect of the components I had no issues during firing whatsoever. Overall fit and finish is excellent. I placed the New Frontier LW-15 on my Stag Arms upper and had no issues whatsoever. Everything fit extremely well. The polymer moldings and finish looks great with only a hint of “machine markings” or “mold flash” in a few places and I must emphasize this was minor. Really a very attractive lower. 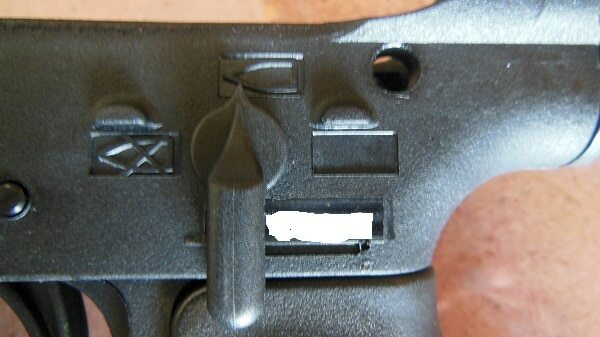 The safety selector worked with no issues and as seen in the picture above shows a “bullet” as FIRE and that same bullet with an X through it as SAFE. Pretty easily recognizable. The safety is NOT ambidextrous although it is reversible. 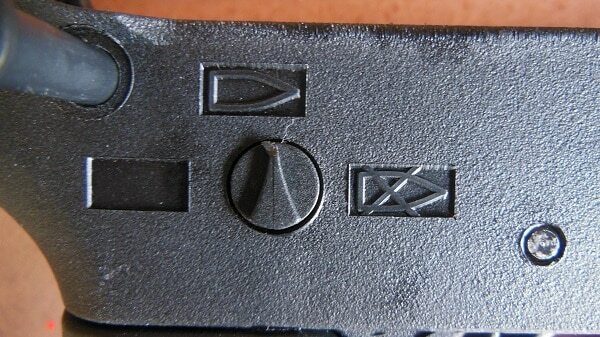 The opposite side of the safety selector provides for the same graphics for identifying the current state of readiness of the firearm. I started the title of this article with “Initial Evaluation” as I am not done yet. I placed the LW-15 on my Stag upper and shot a couple hundred rounds. No issues at all…..none….zero…..zilch. I could feel the difference in weight which was welcome and firing through the rounds was uneventful. So – now what? I am looking to try to build a lightweight carbine taking full advantage of the polymer lower. I am also considering replacing the trigger group – but time will tell. I know there will be criticism from those questioning the durability and “combat readiness” of the New Frontier LW-15. I may get asked the question – “Will it survive 3,000 rounds?” Answer – I have no idea as I haven’t fired 3,000 rounds through it however there are many accounts on the ‘net of those that have and had no issues. 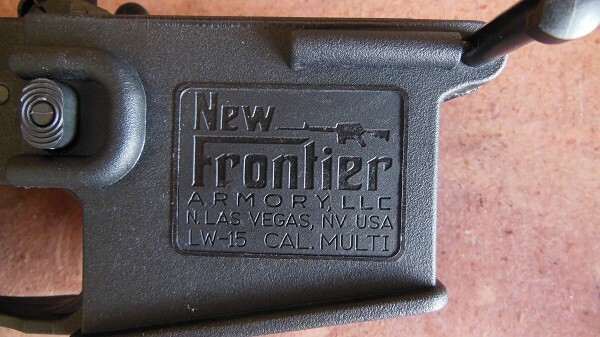 For more information on the New Frontier LW-15 – visit their website at https://newfrontierarmory.com/. I have not had a chance to explore a composite plastic lower as all my builds were with aluminum lowers, but I do carry all the time, except in the rain locker. With working outside all day in the hot florida sun, my Glock 23 takes the abuse. Only problem I have ever had with was the slide and barrel had a small amount of rust and pitting from sweat, but of course they are metal. I am curious to see how the plastic lowers would handle hot reloads and if their would be stress cracks from running higher than normal loads. Thanks for the comments. I do not have much concern with the polymer lowers taking the stress of firing. In my estimation the vast majority of stresses are in the upper rather than the lower. As far as .223/5.56 – recoil is not much of an issue. .300 Blackout? Maybe. I have used both polymer and metal firearms for years and have to say that they both seem to work well. I recently watched a torture test where they performed every imaginable evil on both an aluminum and polymer lowers and was very impressed with both. 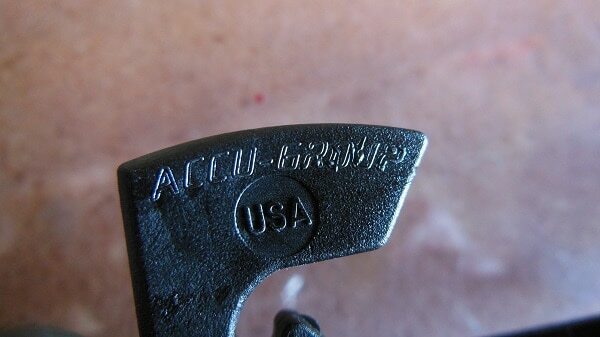 The real game changer came when they did an impact test using a 3 pound hammer on the side of the mag-well. The polymer lower bounced back to its original shape and was able to continue processing rounds down range. The aluminum receiver, unfortunately was broken and unable to continue due aluminum’s inherent properties. My wife loves her polymer AR’s lighter weight and reliability. I am still waiting for the .308 version to show up. You guys need to be building the 80% aluminum lowers. Home made, no form 4473, and if you pay cash at a gun show, no paper trail whatsoever. That way if there is ever a ban or confiscation, there is no record of you owning an AR. Just look at whats happened in NY and CT. If you lived there and had built your own from an 80% lower receiver, youd have nothing to worry about the state coming to take your firearm, because youre not on paper for owning one. I do believe this was the ultimate motive of the ATF when they raided ARES Armory in California. They werent interested in what they were selling, they were interested in who they were selling those 80%ers to! Thats why they took customer lists and computers containing those lists. Folks, with this communitst regime slowly chipping away at every god given right in the Bill of Rights, you have to stay under the radar. Particularly with firearms. That way, you’ll have them when you need them. Brad, In a torture test with impact on the side, I would agree that the polymer would far better than the aluminum. I don’t have much experience with them but thanks for bringing that up, may start making a changeover to them. Gary, You have a valid point. I am in the process of moving to the country and will have my own workshop set-up to finish an 80%, maybe by the end of the year, so thanks for reminding me of the 80% lowers. I will go that route with polymer. Sorry to all to be the dumb one here but what is an 80% lower? And, more importantly, where can I get one? I purchased an Bushmaster Carbon 15 Superlight four months ago and have been very happy with its performance. For those not familiar with the Carbon 15 it not only has a polymer lower but also has a polymer upper as well as Bushmasters “superlight” contour barrel. It is an extremely light package. Obviously I can’t claim to know how it will stand up over the long term but reviews suggest it should satisfy my needs for a home defense carbine, range shooter and sometimes hunting rifle. Would I choose it if I were parachuting into Afghanistan…. no. Gary, I agree about building from an 80% lower and I’m planning to do just that though I may use a polymer lower. I have a mill so the machining isn’t an issue, fact is I have complete confidence in using polymer lowers. Walter, an 80% lower is a partially completed lower that requires the purchaser to finish. Google it and learn all about them and where to buy them. You can buy 80% lowers for New Frontier Armory as well with many added bonus features at a very fair price. You can buy 80% aluminum lowers from New Frontier Armory as well with many added bonus features at a very fair price.